Sule is a Bosnian poet and artist who has been living in London for 40 years. Unsatisfied with his life there, he projects all his troubles on his immigrant destiny, wallowing in idyllic memories of his beloved Banja Luka. 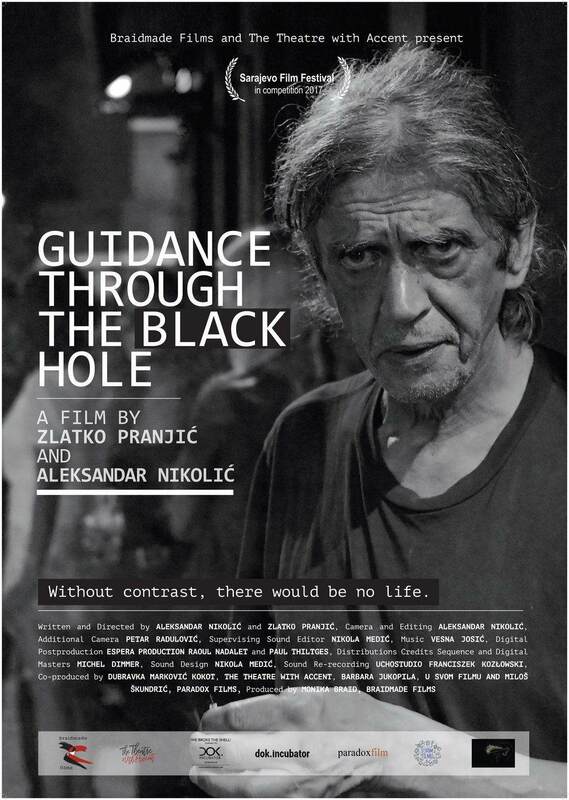 Stuck in a rut, Sule gets one last chance to turn his life around when the Bosnian embassy in London invites him to exhibit a series of his paintings entitled: ‘Guidance Through the Black Hole’. Aleksandar Nikolić, has been working in film and television since 2003. In parallel to editing high profile TV documentaries for the BBC, PBS and CH4, he has been writing and directing his own films. He has made five short films which span the full range of cinematic styles from experimental to straight fiction. However, his greatest passion is reserved for documentaries. Aleksandar has written and directed two feature length documentary films. The first, ‘The Serbian Lawyer’ had a cinema distribution in Germany and has screened in over 20 countries. The second, ‘Guidance Through the Black’ premiered in competition programme at Sarajevo Film Festival in 2017. Zlatko Pranjić is a writer, producer and director. His stories were published in the UK anthologies by Penguin and Dreamcatcher, and in 2007 he won prestigious Penguin’s Decibel prize in short story category. He has produced and directed several pieces in theatre and film, ‘Guidance through the black hole’ being his latest feature.